The I.R.S. 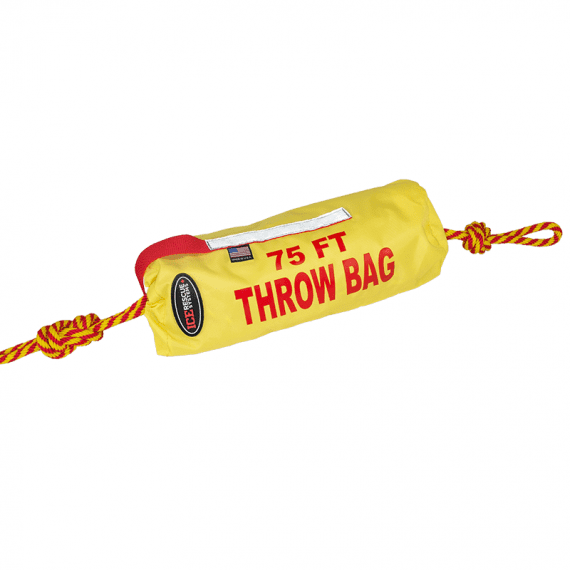 Throw Bag is an excellent choice for any law enforcement or fire department that may be involved in ice rescue work where light weight strong rope may be called for. The high visibility yellow denier pack cloth bag incorporates 75′ of 3/8″ Poly Pro Rope line. The most accurate throw bag on the market. 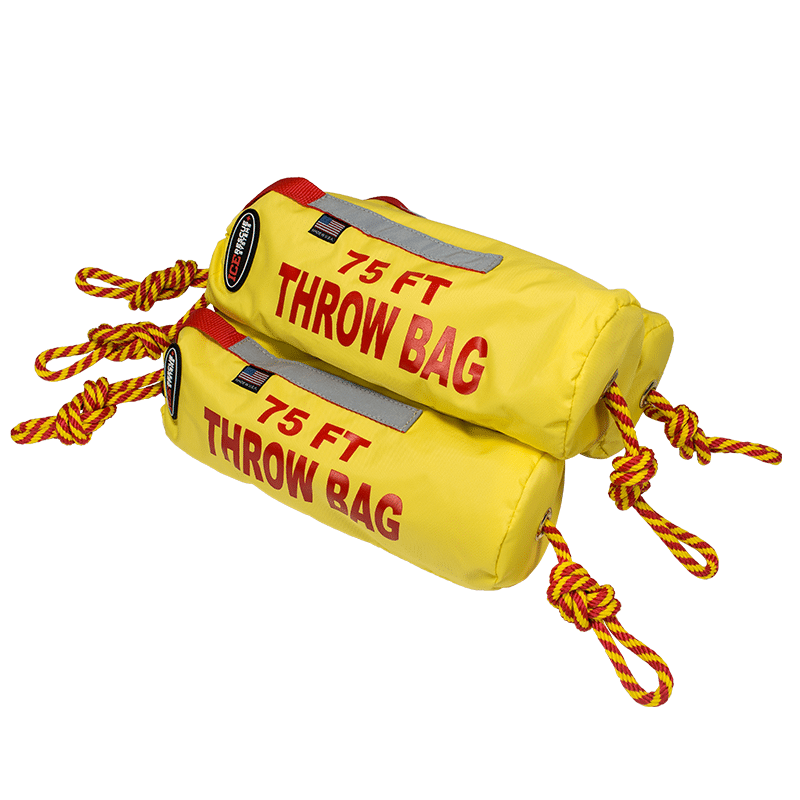 Easy to stuff and stow. For more information, download our Throw Bags Product Sheet.